The Zoustar – Running Royalty (USA) colt was purchased for $29,000 (excl. GST) at the 2018 Inglis Gold Vobis Yearlings Sales held at Oaklands, Melbourne in April this year. 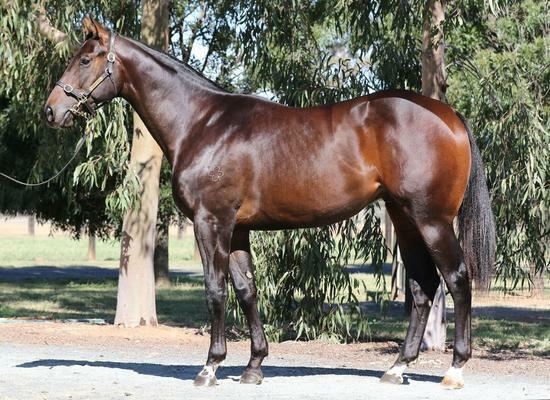 Since the time of purchase, this colt has been broken in and is currently in full work at Brendan’s Caulfield stables. Ownership opportunities include purchase price, all transportation from auction, to / from breakers and to the stables, breaking in expenses, two months’ full training at Caulfield, agistment at Brendan’s Clearview Park Heath Hill property as well as farrier and veterinary checks and applicable GST. Hello, I'd like to know more regarding the horse 'Zoustar X Running Royalty 2016' you have listed as available.